There are a few options available for introducing material into the pneumatic conveying system. 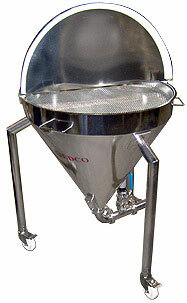 The most common being a vacuum feed wand or a feed station hopper. A Vacuum Feed Wand is our standard method of feeding the product into the pneumatic conveying system from a drum, Gaylord, or other container. With its twin tube design, the vacuum feed wand permits full adjustment of aspirating air at the feed point. The feed wand also permits “in/out” adjustment of the inner tube permitting total flexibility for feed rate control. The tip of the wand has a tube guard feature that prevents clogging from plastic liners. 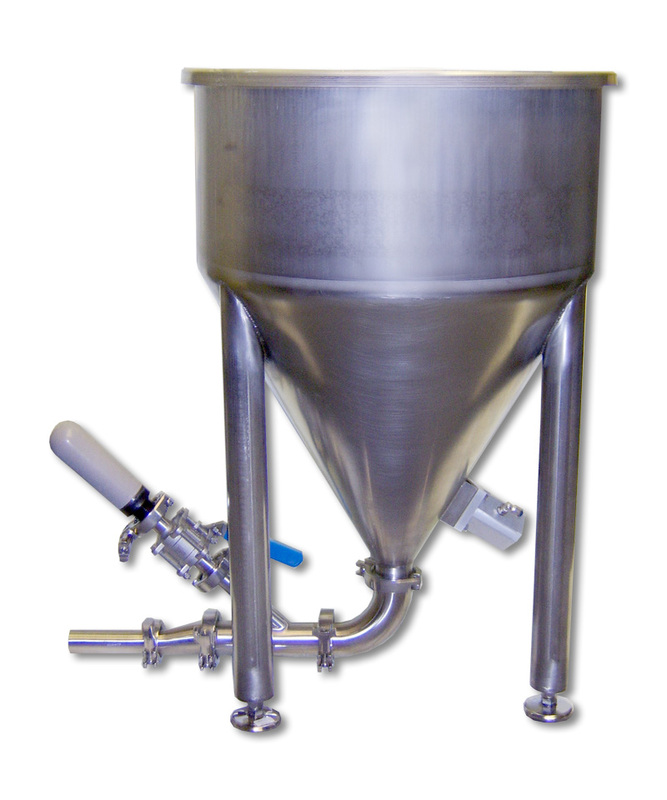 As an alternative to a feed wand, IEDCO can provide a Feed Station Hopper of any size or configuration to introduce the product into the pneumatic conveying stream. This configuration allows for optimum material conveying and offers full adjustability. Further, it allows for additional system automation and reliable feed of material into the conveying system. For materials with difficult flow characteristics, Fluidization Cones can be provided. These cones prevent bridging by providing a finely distributed air stream that creates a cushion or film that reduces friction between materials and the pick-up components, enhancing particle movement. Specially designed to feed product horizontally from a discharge hopper to the receiving container, our vibratory feeder is a simple, safe, and inexpensive choice for getting a controlled feed. The tubular tray and vibratory drive motor can be designed from small to large to accommodate nearly any project specific requirements.